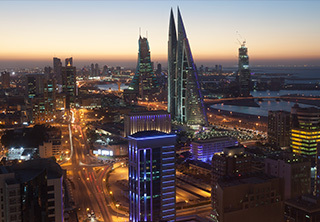 Busaiteen is a lofty and quiet district located in Muharraq Governorate and directly attached to the main island of Bahrain. It lies in the proximity of Bahrain International Airport and many recreational centers. The district teems with many propitious commercial and residential real estate opportunities. Weetas has picked the best properties to be included on its lists for sake of fulfilling all customers' demands. You can find here a list of the best-featured apartments for sale in Busaiteen. If you are looking for a flat to buy in the area, you can check this list. Our sales team are available all day round to receive your calls and answer your questions. They can offer also special deals with better prices since many of the featured prices are negotiable. Try it yourself and call us once you find the desired property.